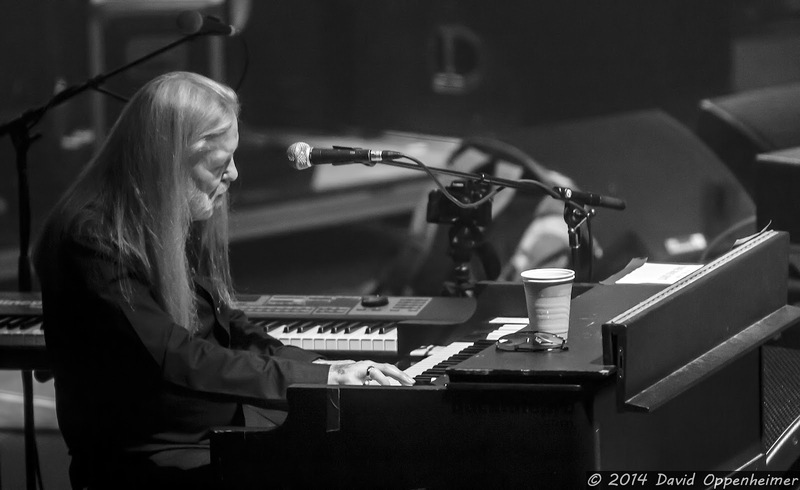 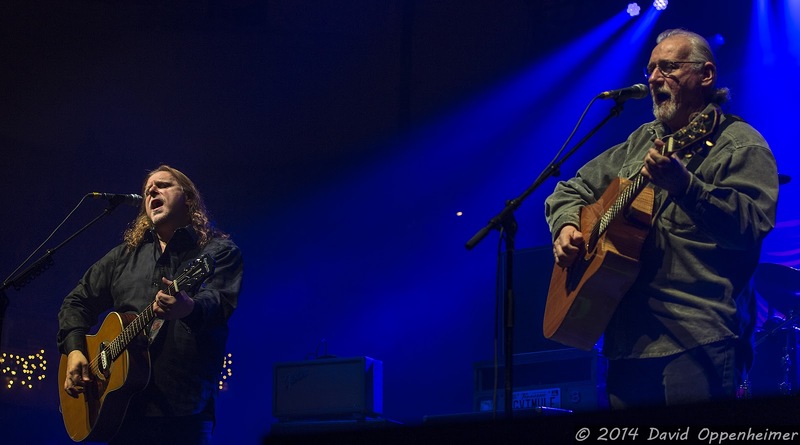 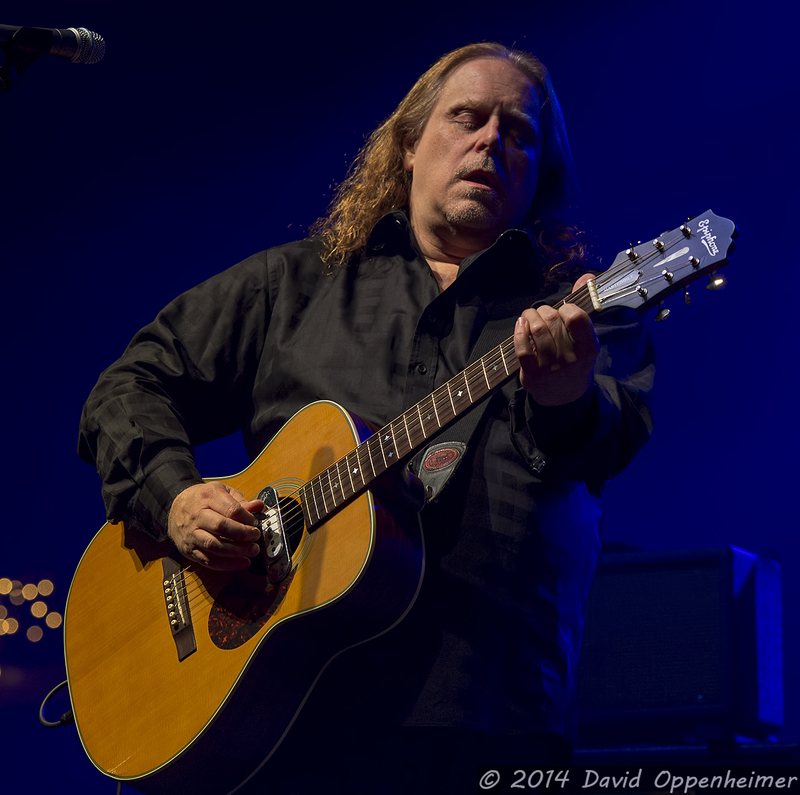 The annual Warren Haynes Christmas Jam returned to the US Cellular Center (formerly the Asheville Civic Center) in December for its 25th year. 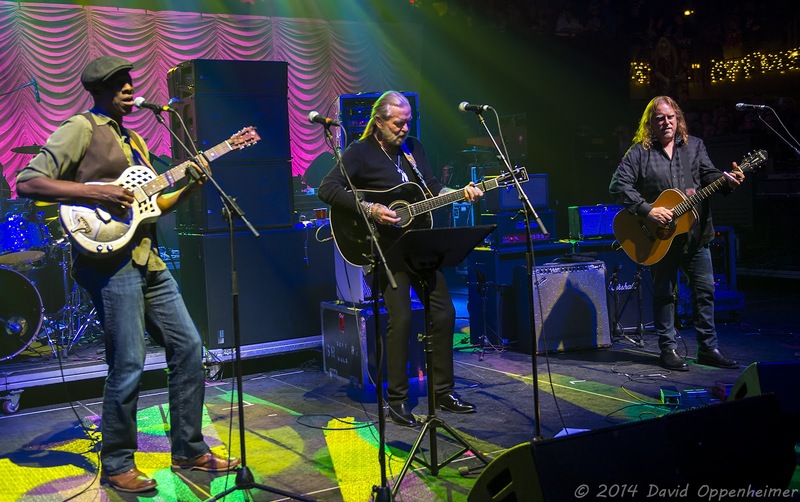 The event has one again expanded to two nights plus the Pre-Jam on Thursday night at the Orange Peel. 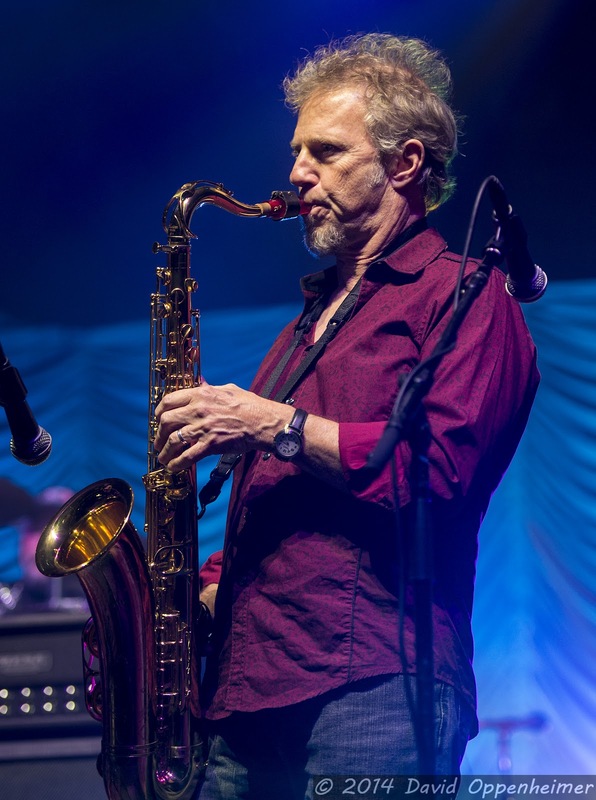 The Christmas Jam has been one of the integral events in Asheville’s annual musical calendar since its much smaller debut in 1989. 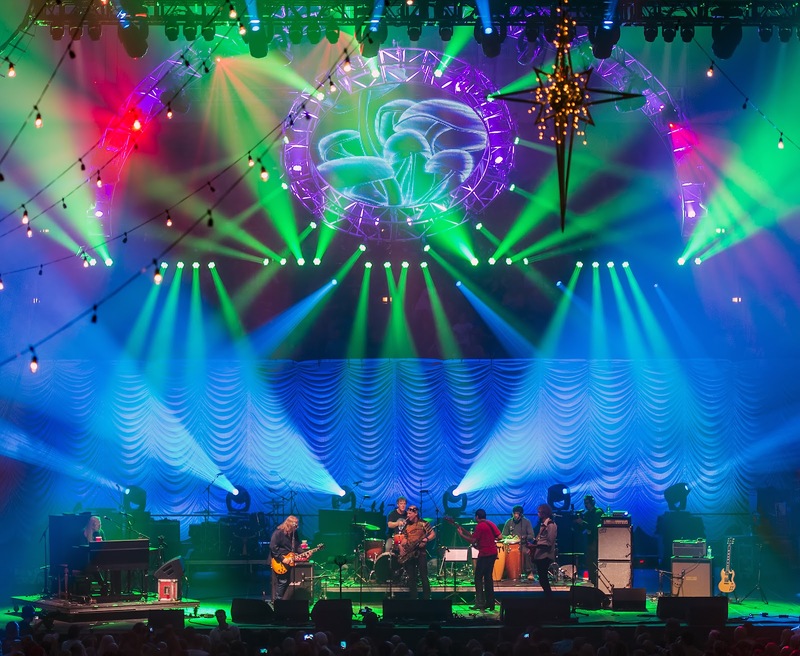 Every year features sought-after bands and musicians of all types collaborating together to create a musical experience like no other. 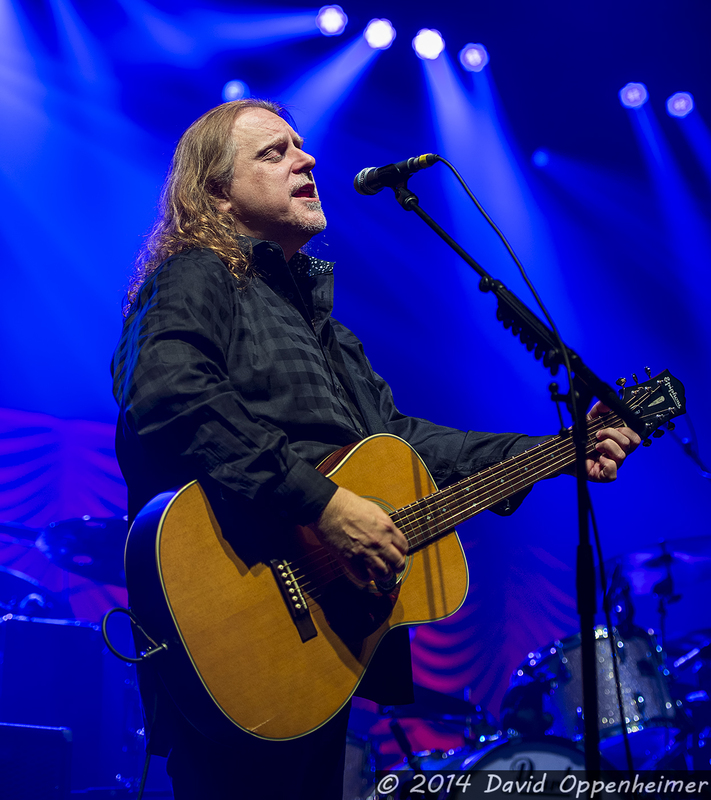 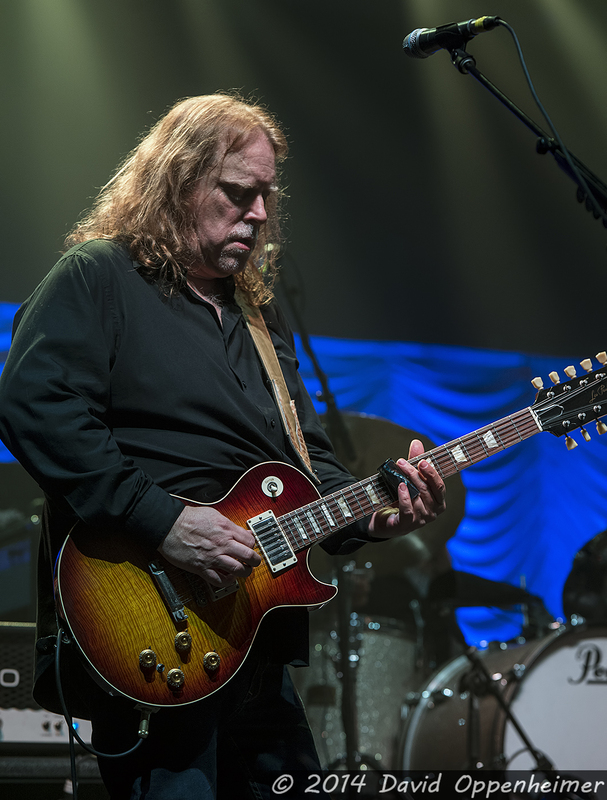 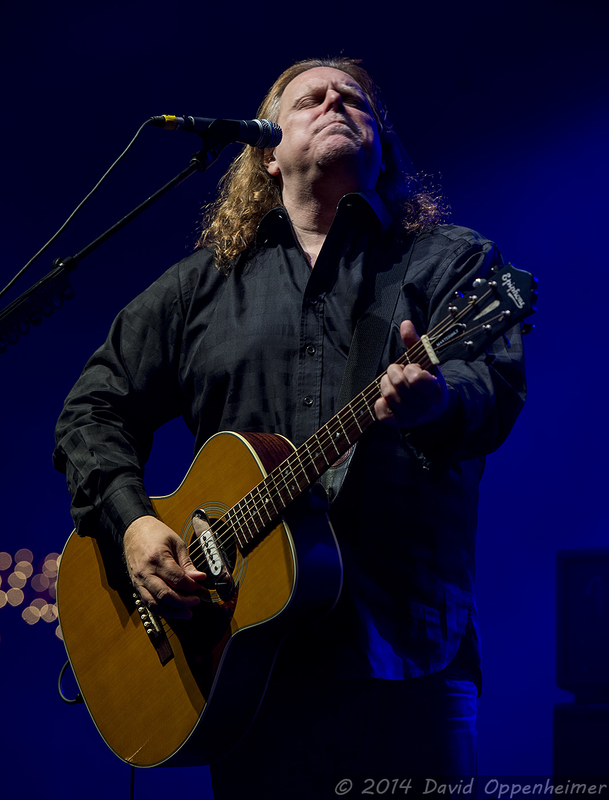 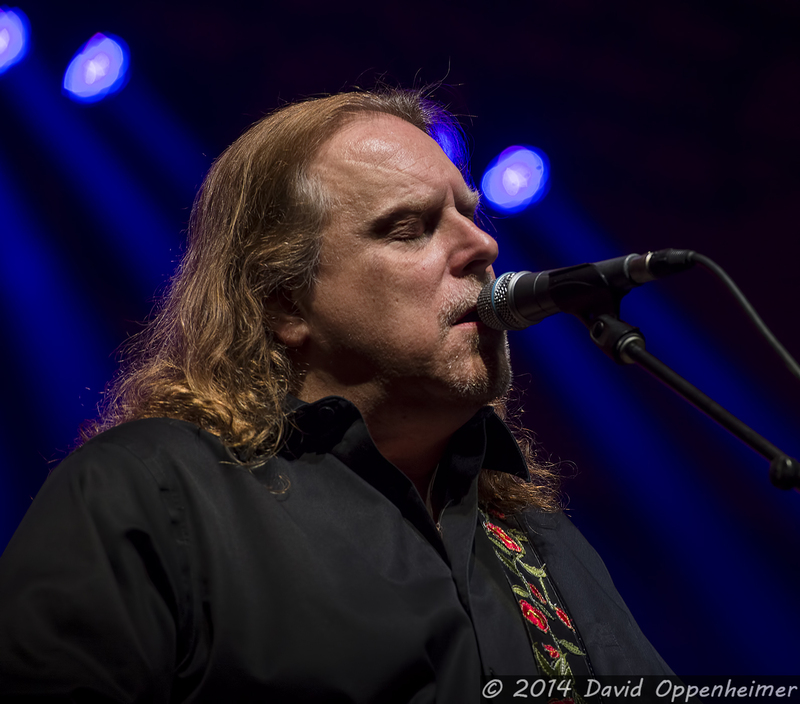 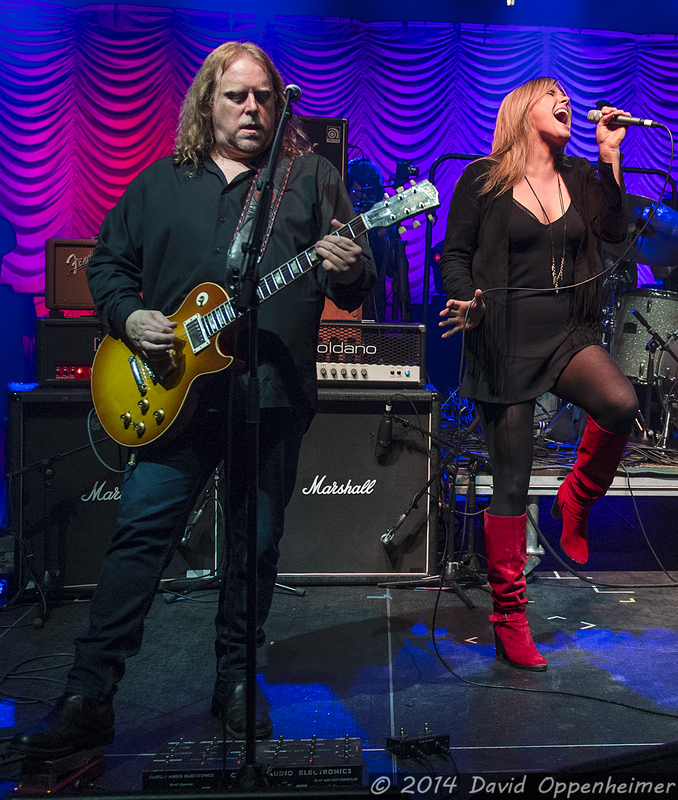 Local hero and Gov’t Mule front man Warren Haynes has manufactured an event that not only gives people the best in musical talent, but also gives back to the community. 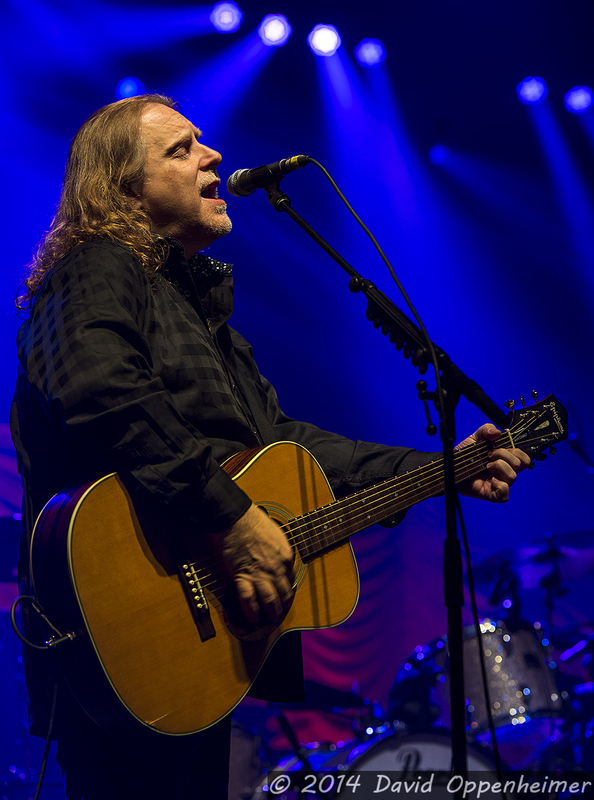 All proceeds from the event go to the Habitat for Humanity, which is a non-profit organization that aims to assist people with affordable housing. 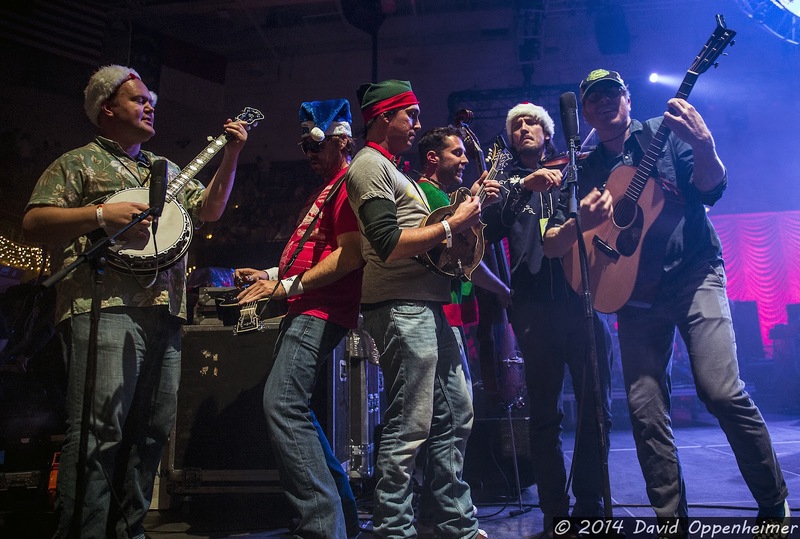 The X-mas Jam has become so popular over the years that tickets are guaranteed to sell out weeks before the event. 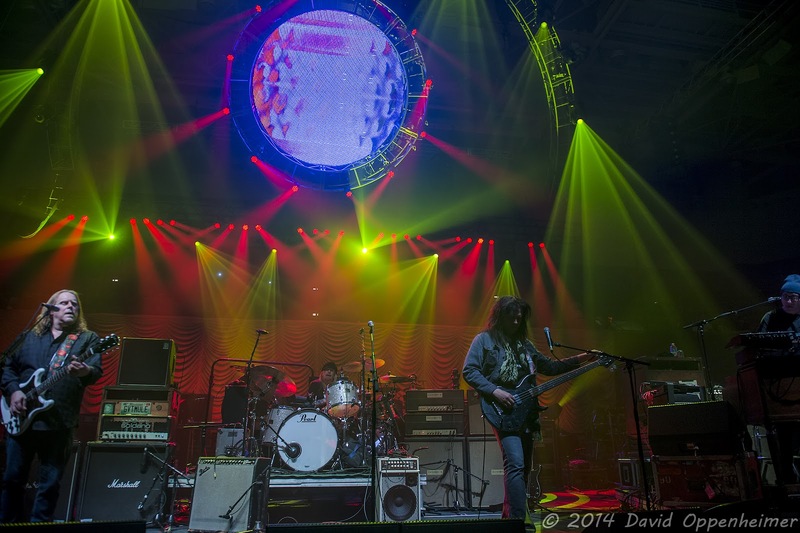 An exciting aspect of the show is the lack of curfew that is normally enforced in Asheville. 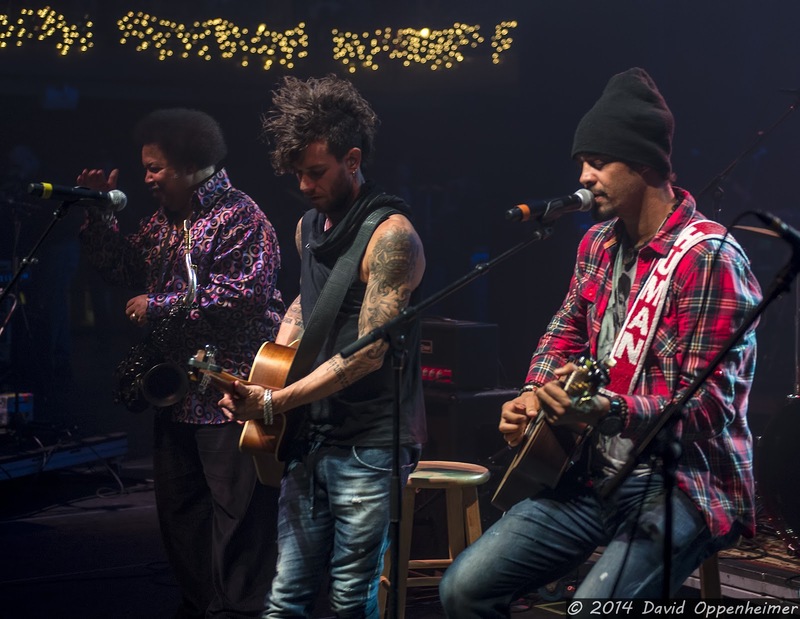 Instead of ending at 2 AM like most events in town, the X-mas Jam is open ended and has been known to go until 3 or 4 AM so that the musicans are not rushed to finish. 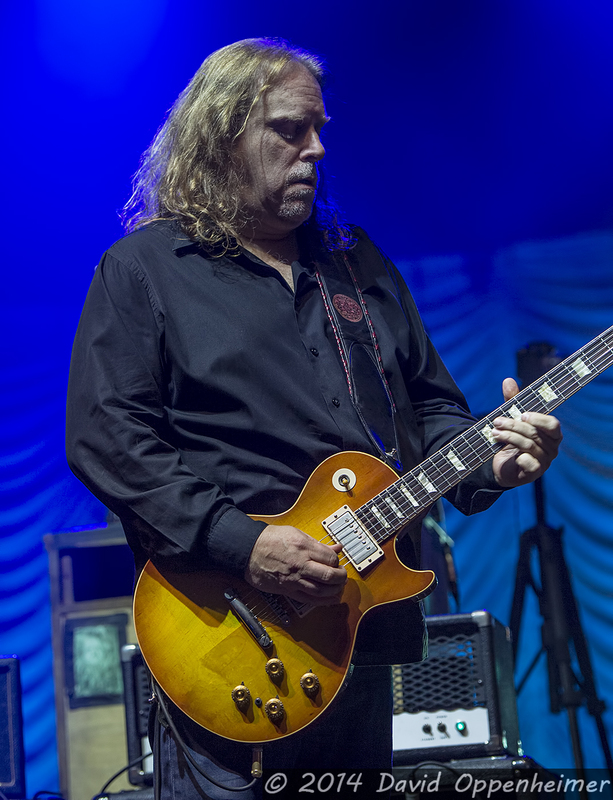 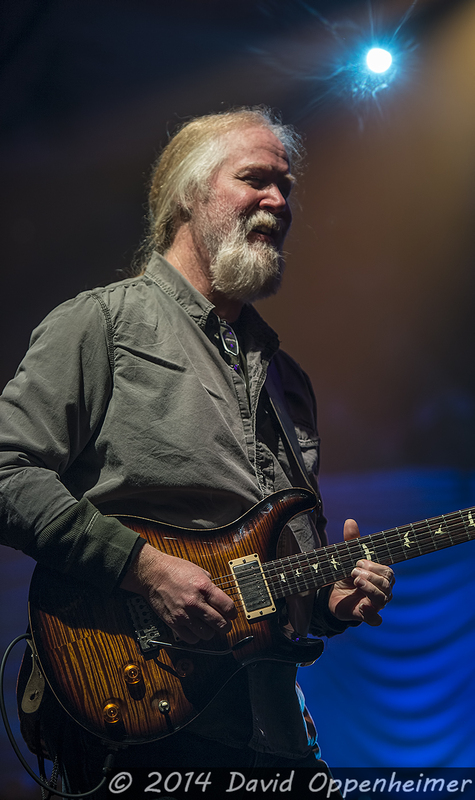 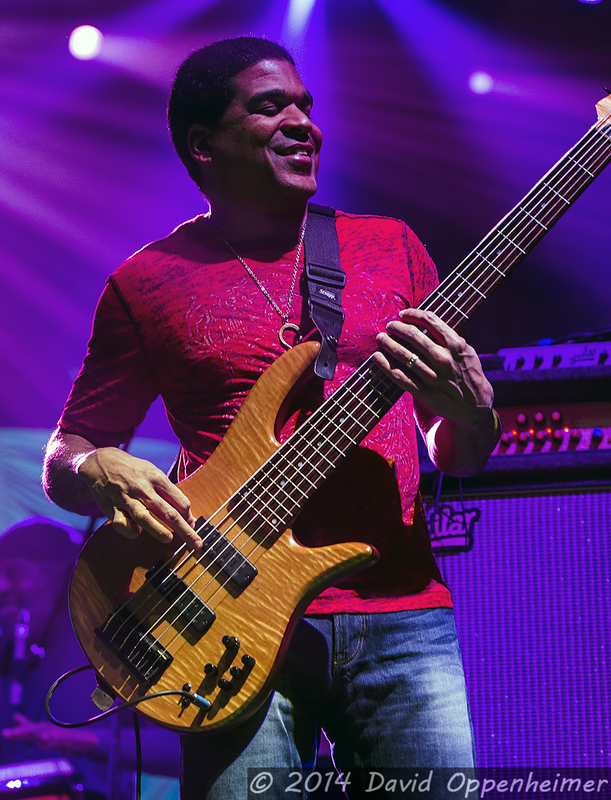 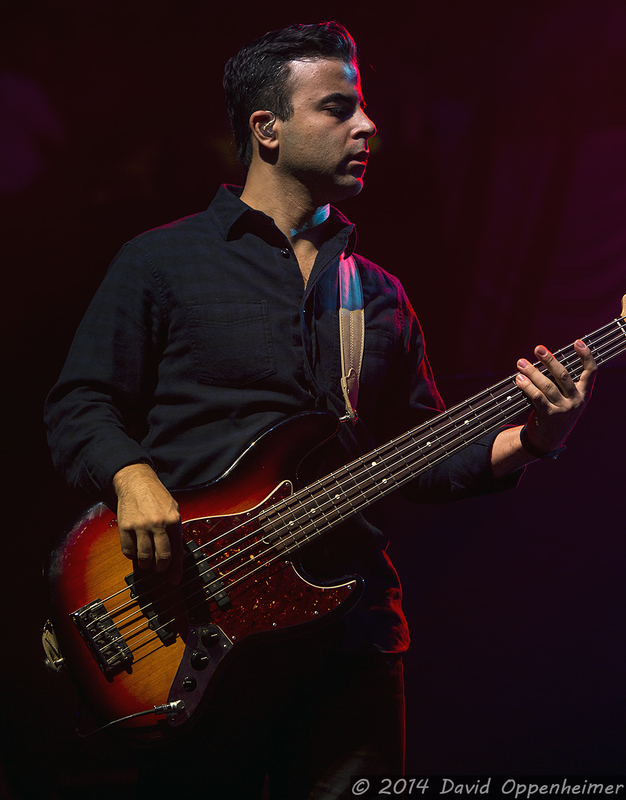 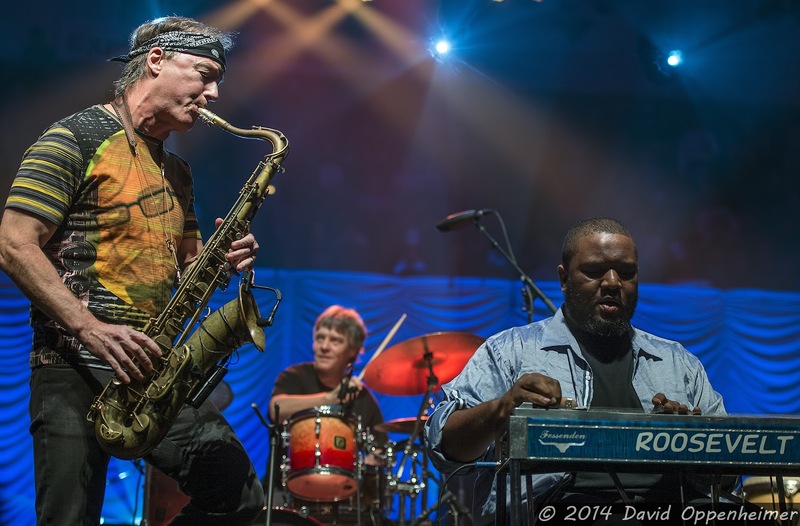 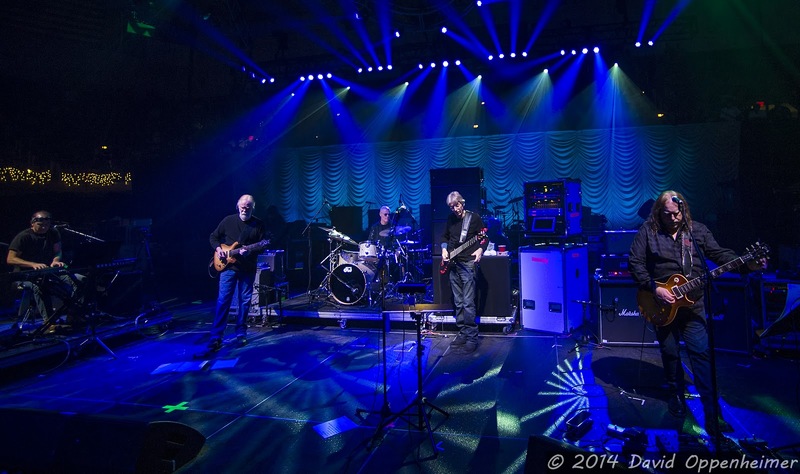 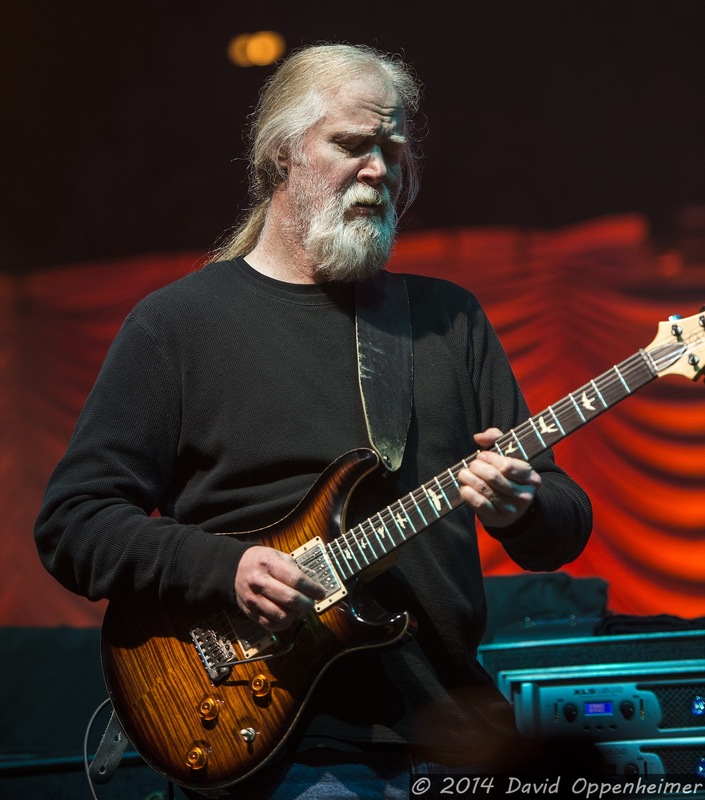 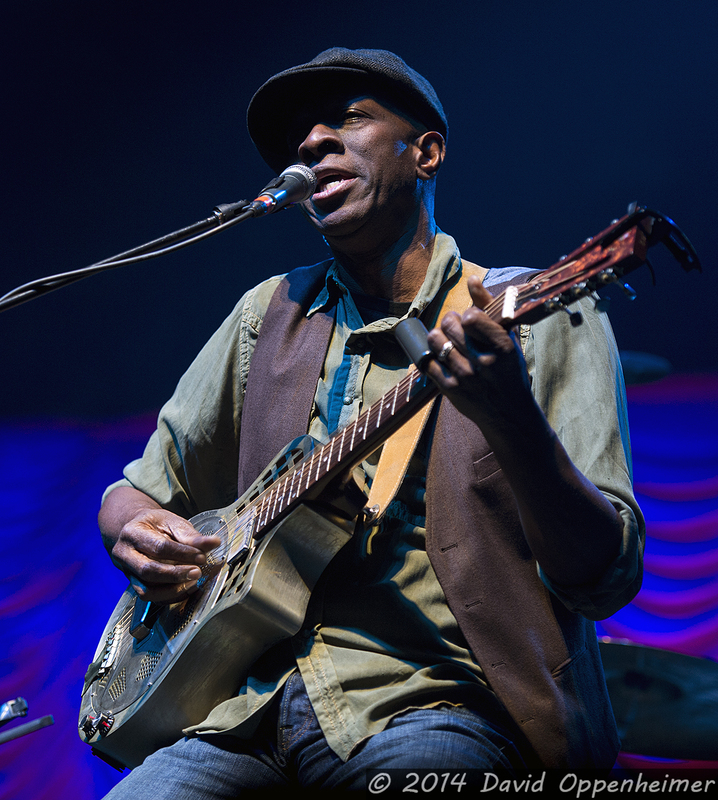 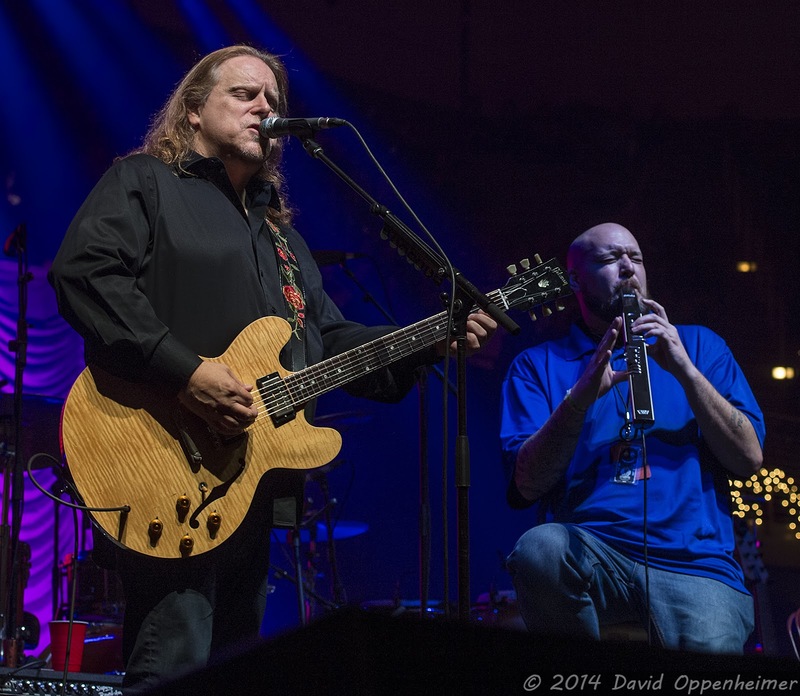 This year’s event featured musical performances from Gov’t Mule, Gregg Allman, John Scofield Uber Jam, Keb Mo, Phil Lesh Quintet, and Widespread Panic on Friday night. 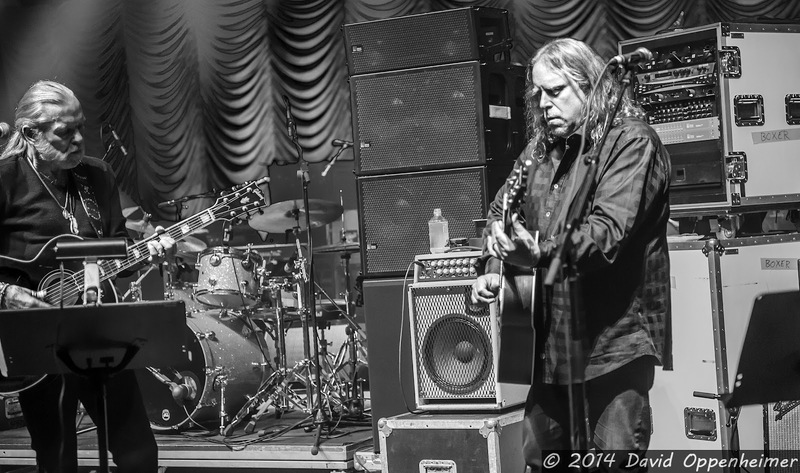 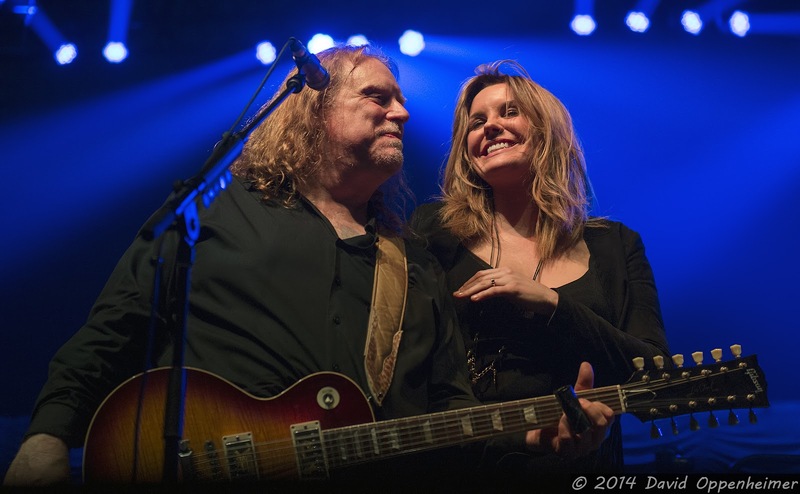 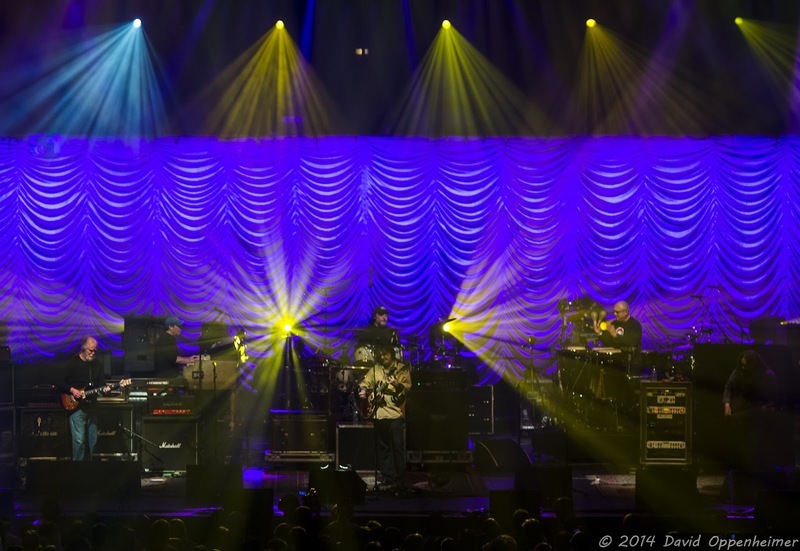 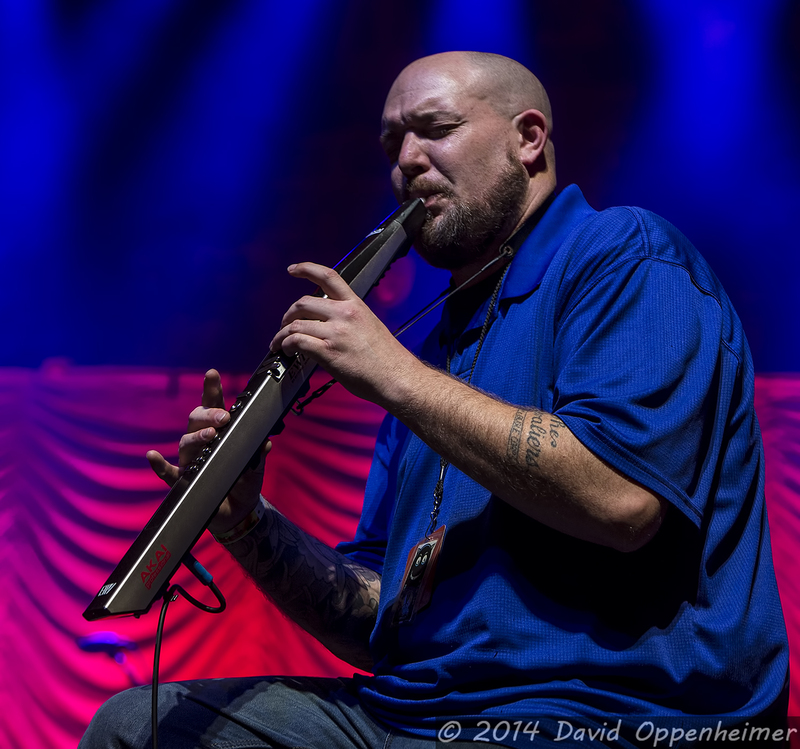 Aquarium Rescue Unit, Gov’t Mule, Grace Potter and the Nocturnals, Gregg Allman, Michael Franti, O.A.R., and a special performance from John Scofield and w/ Gov’t Mule, in what they called Sco-Mule played Saturday Night. 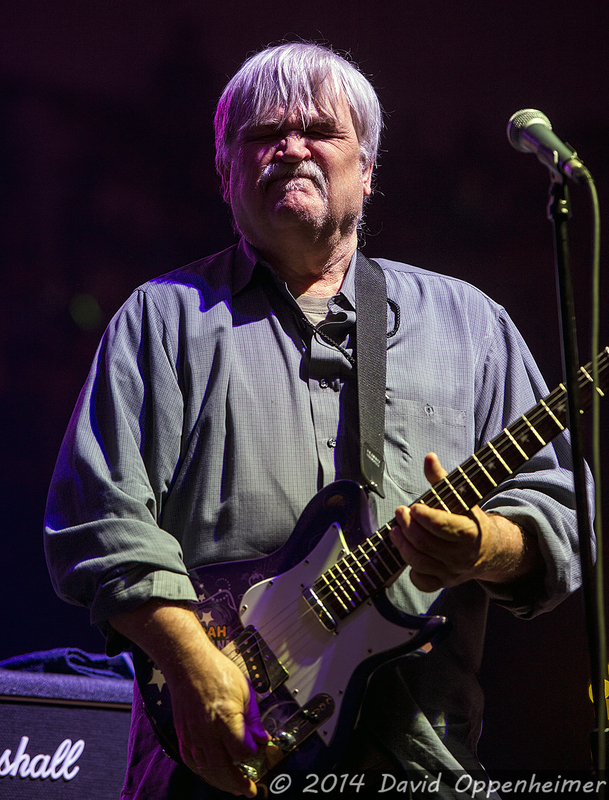 Every year features a variety of sit-ins from numerous other musicians. 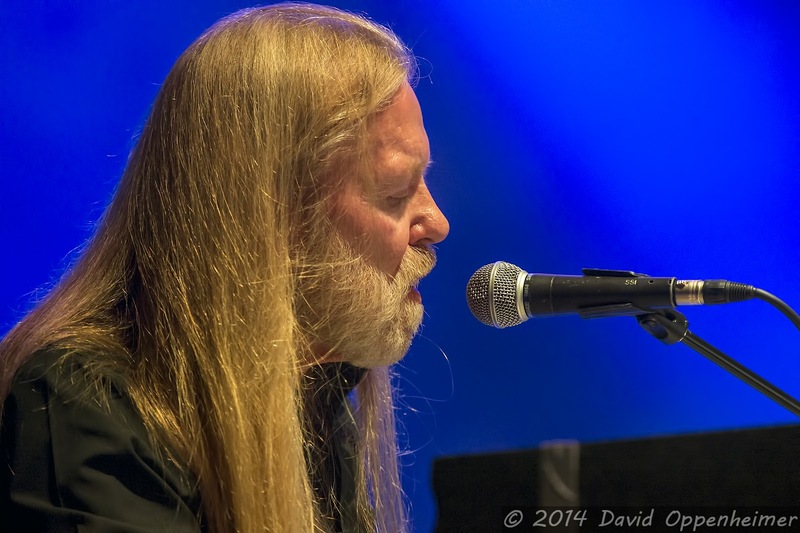 Christmas Jam 2013 featured special guest performers such as Audley Freed, who played guitar with Gregg Allman and Friends, Ron Holloway who sat in on saxophone with Aquarium Rescue Unit and others, and organ player Ike Stubblefield, who sat in with Aquarium Rescue Unit and Gov’t Mule. 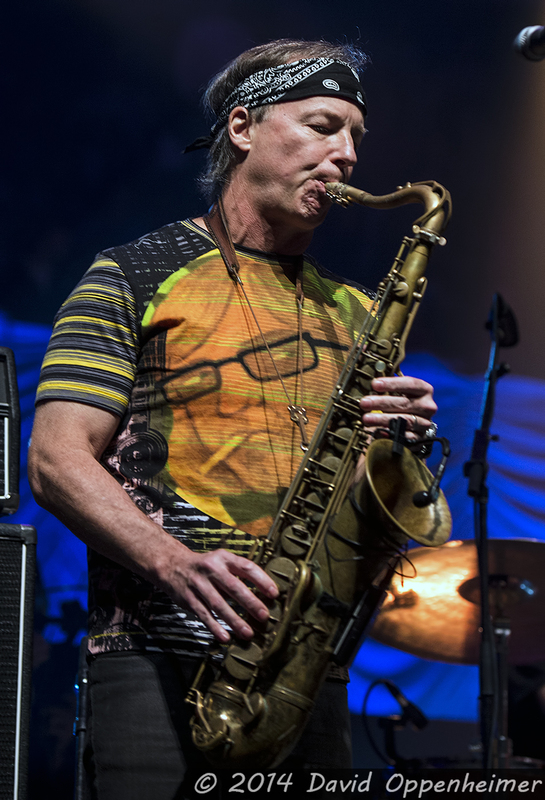 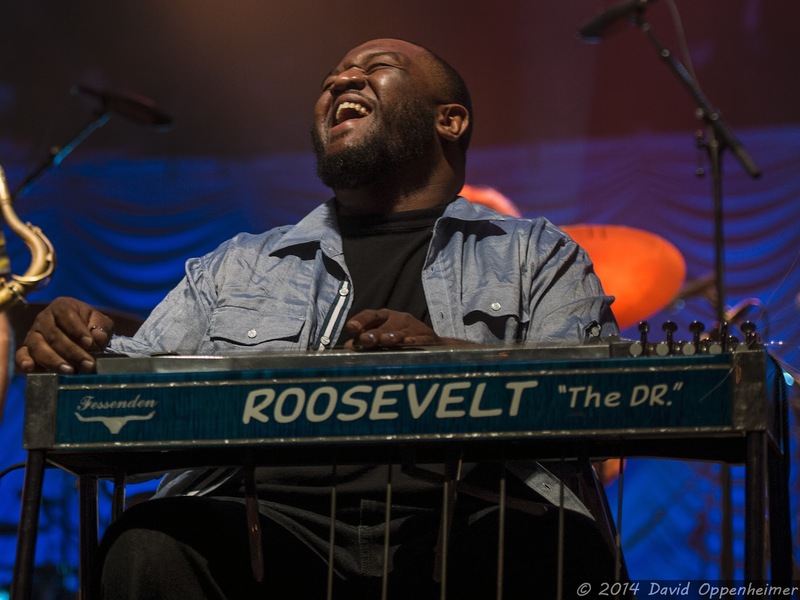 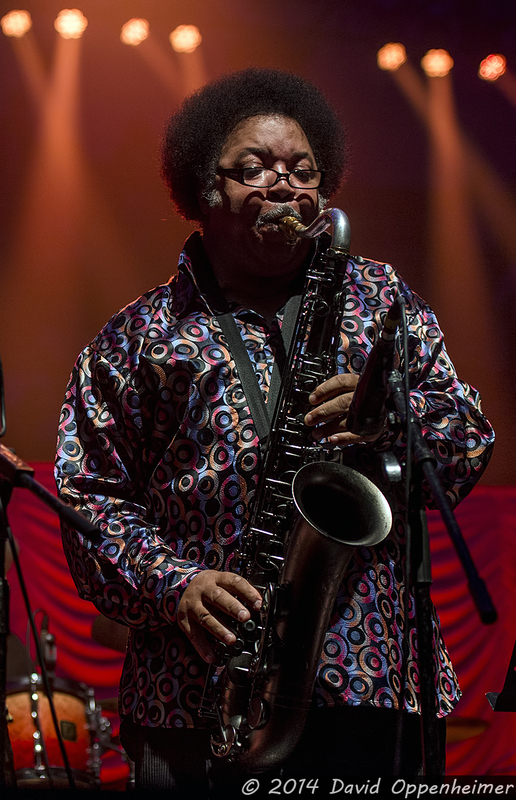 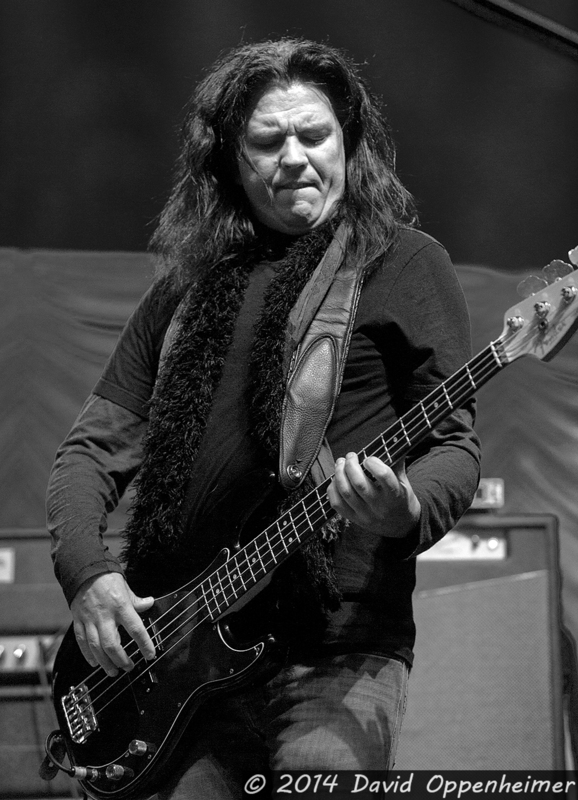 Other notable guest musicians included Bill Evans, Count M’butu, Craig Sorrells, Dr. Dan Matrazzo, Jay Bowman, Kevn Kinney, Marc Quinones, Mike Barnes, Randall Bramblett, Ron Johnson and Roosevelt Collier. 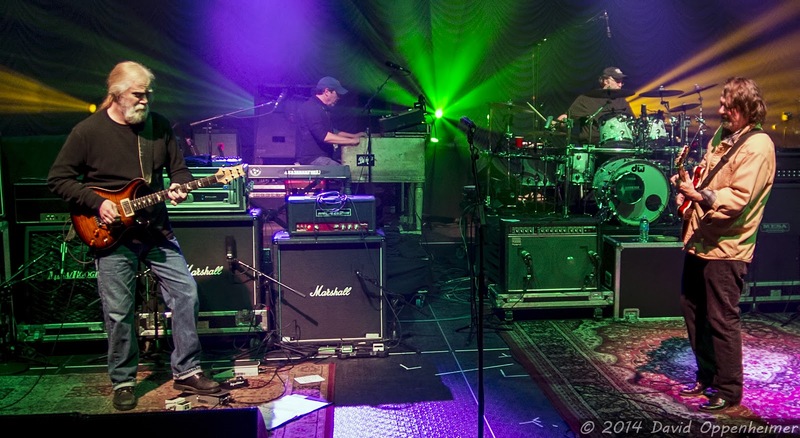 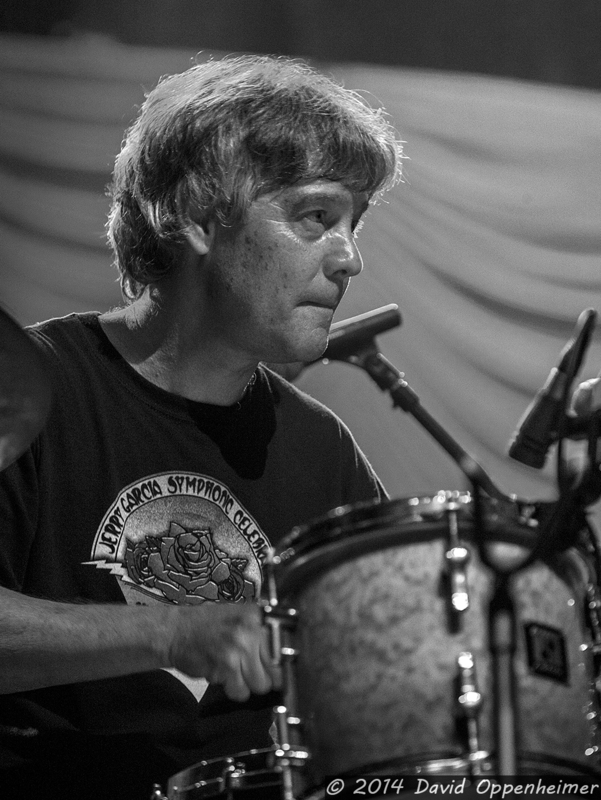 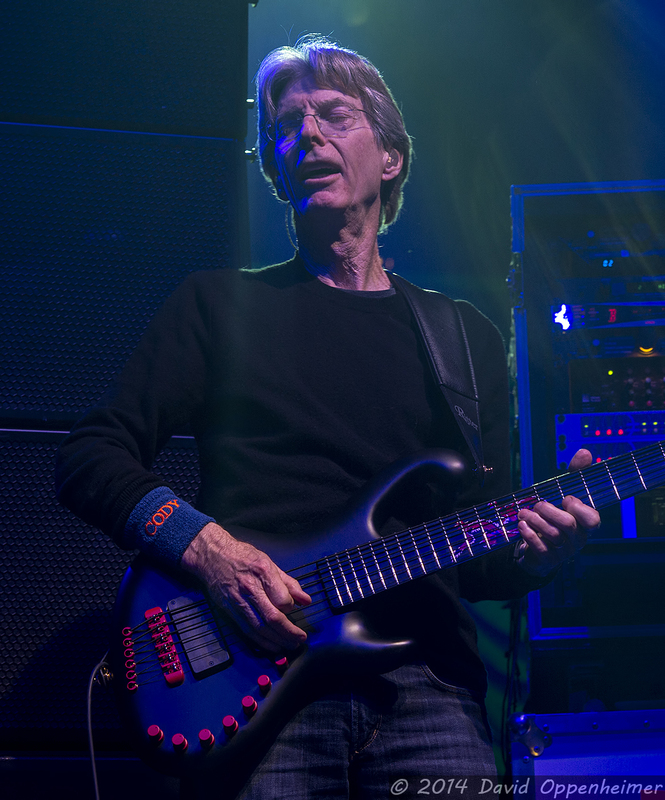 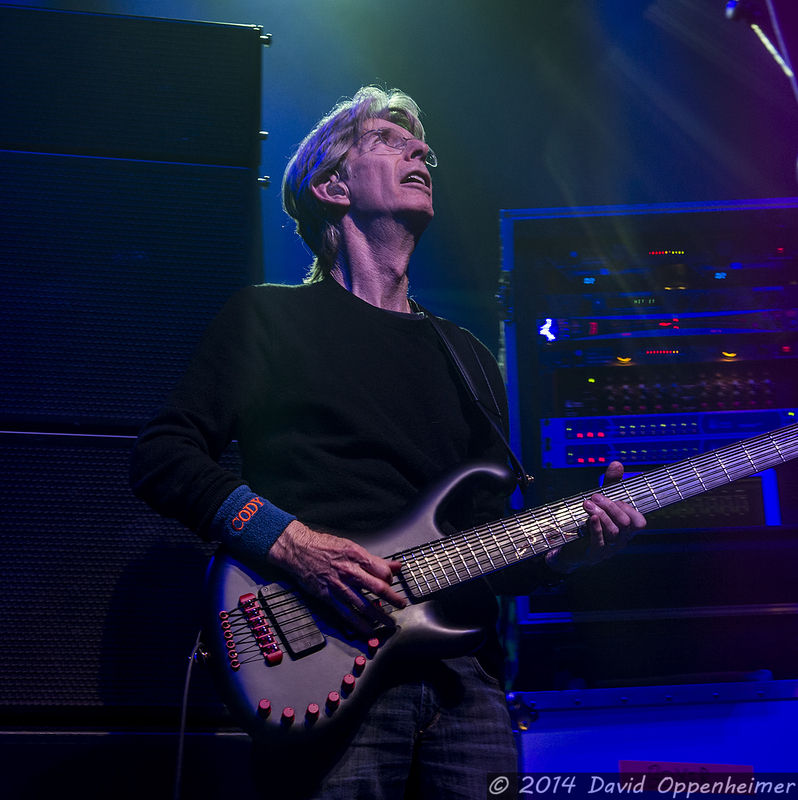 Highlights of the event were the Phil Lesh and Friends' performance on Friday night and Aquarium Rescue Unit on Saturday night who had a plethora of musicians sit in with them to create an improvisational utopia. 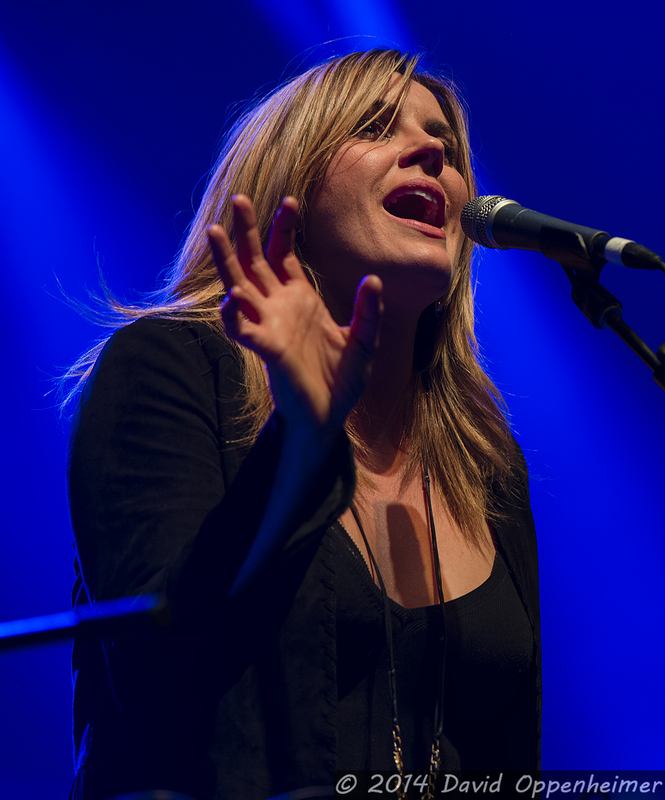 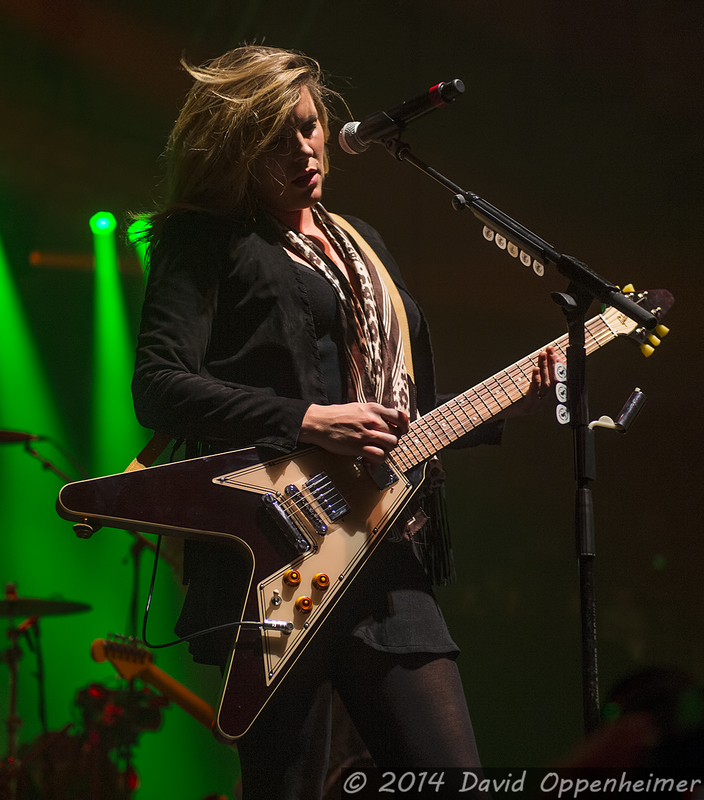 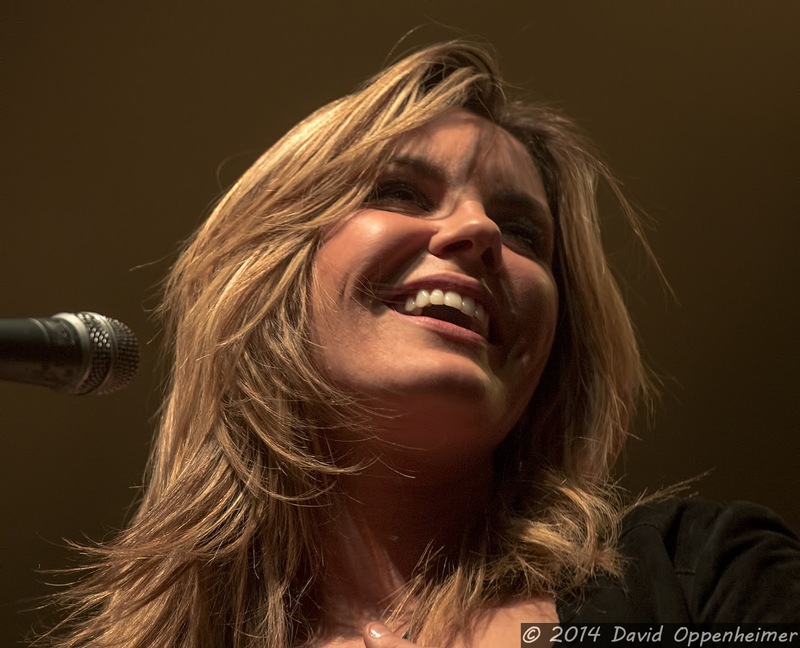 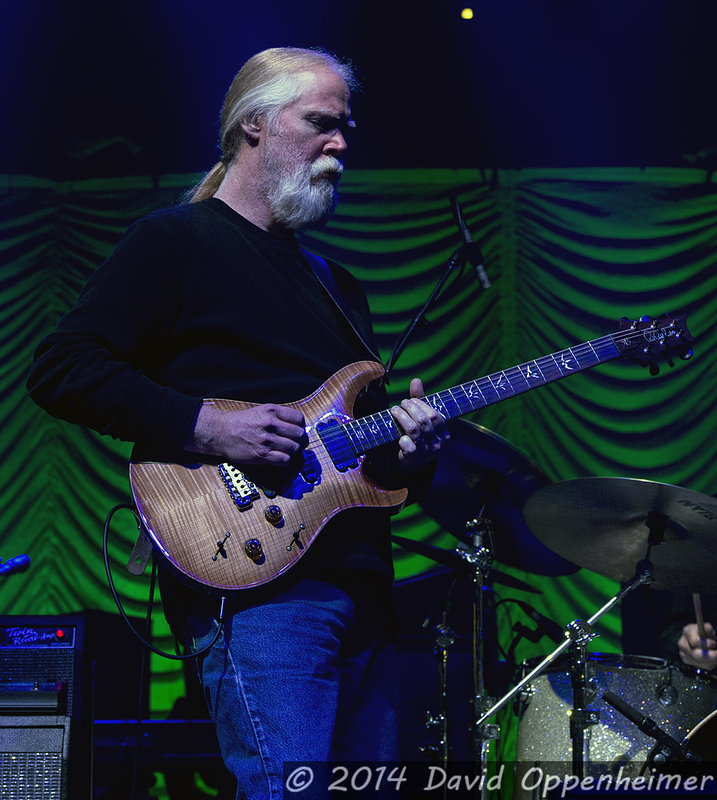 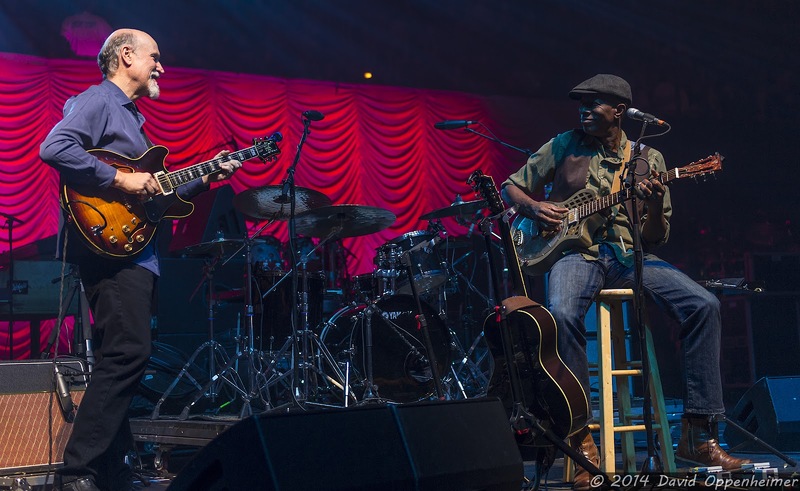 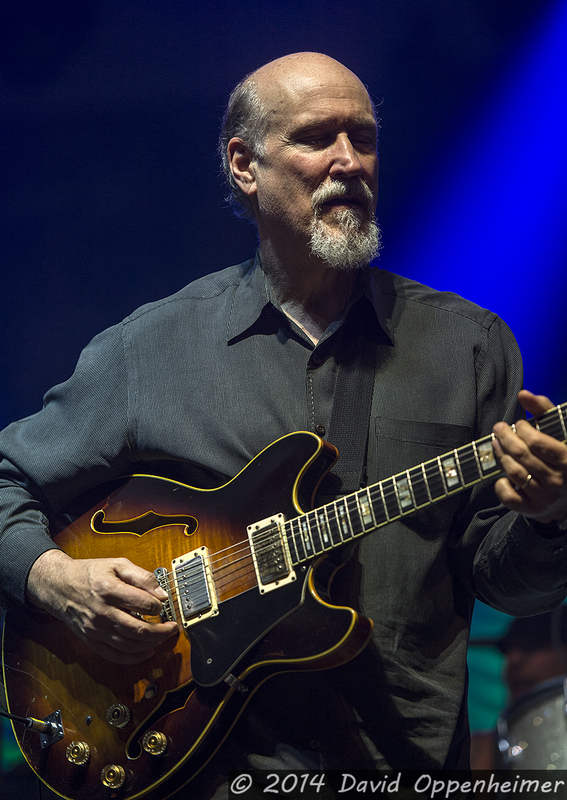 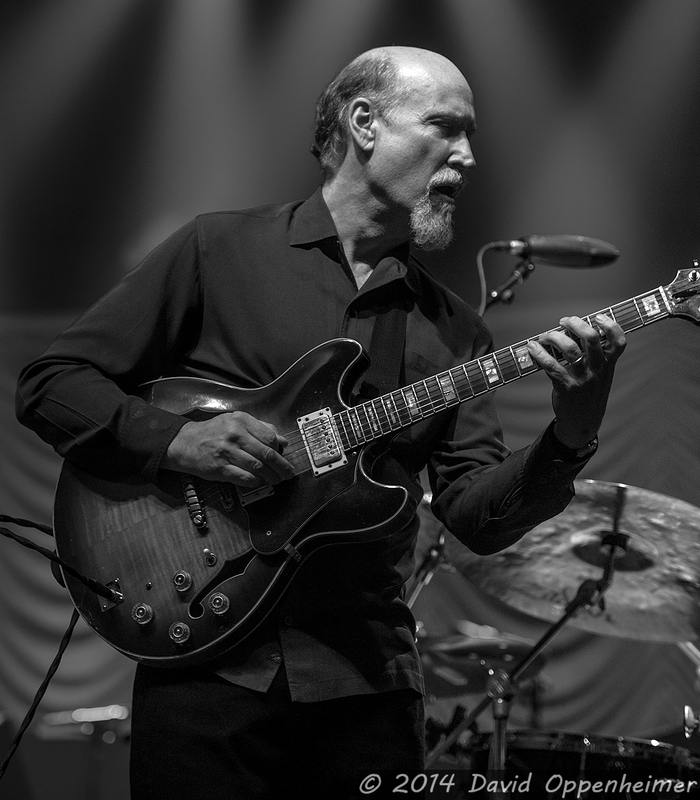 Fans who had enough endurance to stay all the way until the end on Saturday night witnessed an amazing collaboration of John Scofield and Grace Potter each joining Warren and Gov't Mule on stage. 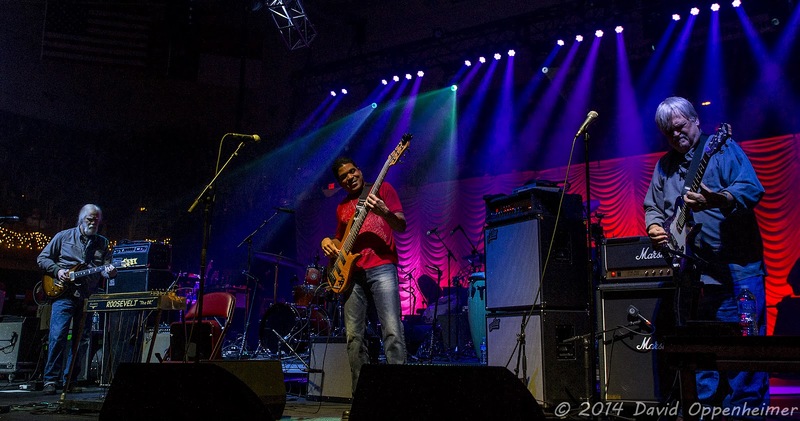 The 25th annual Warrren Haynes Christmas Jam 2013 satisfied the thousands of people in attendance. 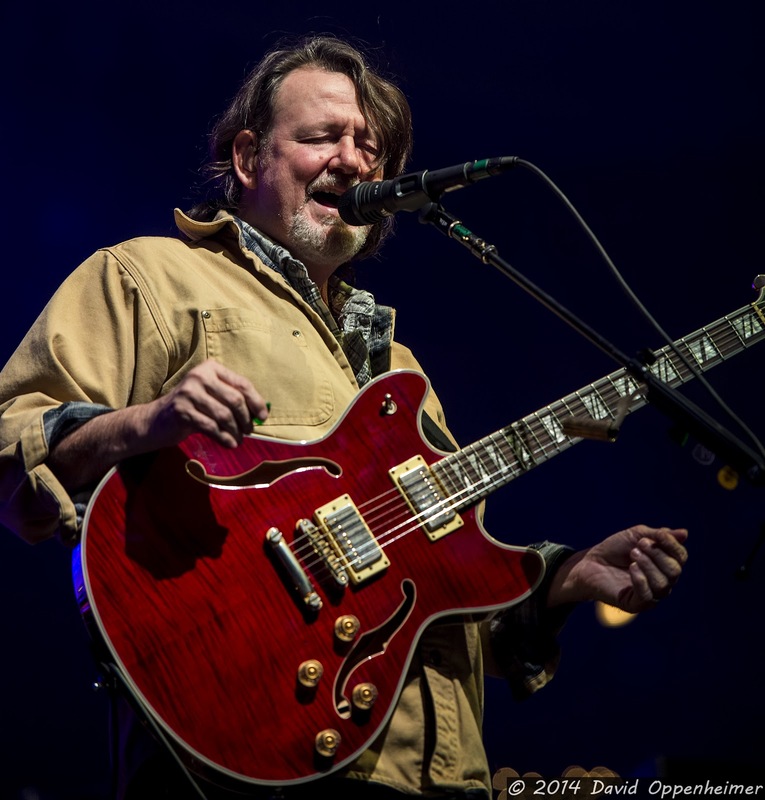 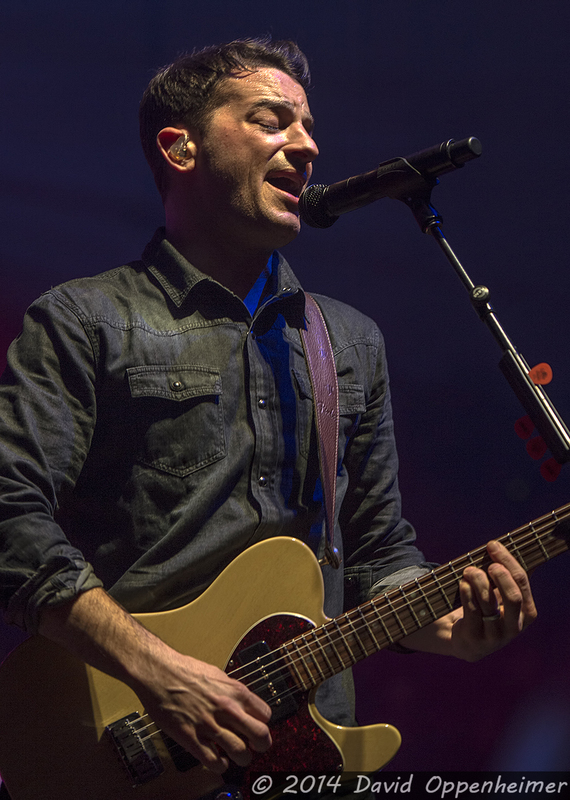 The fans of Warren and the bands that he brought to this magical mountain town left happy, knowing that they just witnessed such an epic gathering of talent. 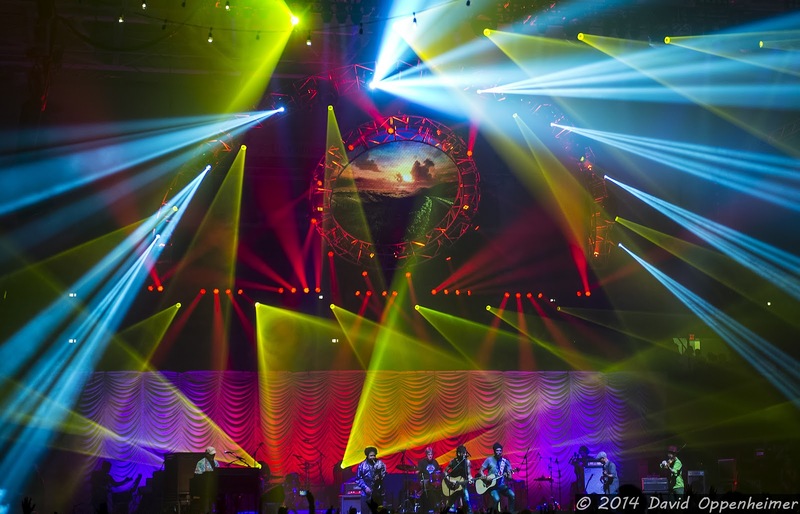 We will all looking forward to next December. 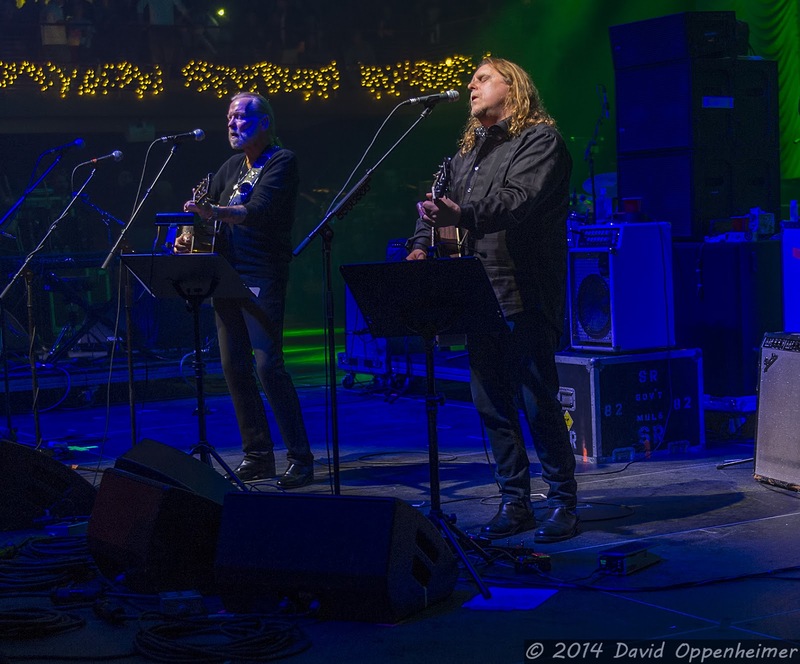 See more photos from the 25th annual Warren Haynes Christmas Jam at Performance Impressions Concert Photography Archives and see the Xmas Jam Slideshow on Flickr.